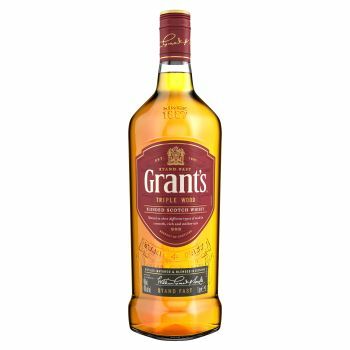 Grant’s Family Reserve, an award-winning harmony of ripe summer fruits, the sweetness of vanilla and the merest hint of smoke. The purest expression of the Grant’s perfectly balanced house style, first created by William Grant in 1898. The basis for the blend is the widely acclaimed Girvan grain whisky. Vacuum distilled at a lower temperature to make it a lighter and more delicate spirit, it is then aged in oak to give it a deeper, sweeter, soft fruit flavour, creating the perfect foundation.